Planning a Bellevue home improvement project? Remember your HVAC system! Posted On: March 24th, 2016 Filed Under: Heating, Cooling No Comments on Planning a Bellevue home improvement project? Remember your HVAC system! Home improvement projects are a great way to enjoy more square footage, increased home value, and an updated living space in Bellevue, Washington. However, during the planning stages of any home addition or renovation, it’s also important to consider your current HVAC system and how your new space will affect its efficiency. Because HVAC systems should be matched to your home in terms of capacity and function, determining whether your current system is up to the task of heating and cooling your addition is an integral step in the design and construction process. Each HVAC system features a specific capacity, which governs the size of the space it can comfortably heat and cool. When you ask your HVAC system to maintain a temperature in a larger space than it is meant to service, it will strain to meet your needs, increasing the chances of a breakdown, speeding up wear and tear, consuming more energy, and diminishing home comfort. Any time you add climate-controlled square footage to your home, including extending your HVAC system into a garage, attic, or basement that was not previously heated or cooled, it’s a good idea to contact a professional for a home energy audit and an HVAC assessment to ensure your current system is capable of meeting your new needs. If the space in which you want heating and cooling exceeds your current HVAC system’s capacity, it’s beneficial to explore your options for new system installation to match your heating and cooling system with the new needs of your updated home. Even if you won’t be adding space, it’s a good idea to work with your HVAC service to make sure heating and cooling registers are placed appropriately in any room you plan to renovate. This will ensure your new space is comfortable and your HVAC system doesn’t experience added strain by changing the optimal configuration of your ducts. HVAC and duct cleaning are a great way to renew your HVAC system for greater efficiency and reduced risk of breakdown, while also improving the quality of the air inside your home. Following any home renovation, addition, or other project that involves demolition or construction, HVAC cleaning and duct cleaning can help to eliminate construction dust and debris from the air you breathe. Oftentimes, this dust and debris can easily circulate through your home during the project, regardless of whether your HVAC system is operating or not. When this debris settles into your ducts or on your HVAC appliances, it can affect function and indoor air quality, no matter how thoroughly you or your contractors clean your home after the project is through. Professional HVAC cleaning and duct cleaning will completely eliminate construction dust and debris from your system for a clean, healthy, and efficient home. If you’re planning any type of home project this spring, our HVAC experts can help you make sure your heating and cooling system is up to the task. We are pleased to offer services that include home energy audits, air duct cleaning, and new product installation so you can enjoy the indoor comfort you expect in every area of your home. Request an appointment online or give us a call for HVAC tune-ups in Bellevue today. HVAC efficiency is essential when it comes to enjoying comfort at home. A furnace or air conditioner that is not efficient will both consume more energy to generate heated or cooled air, as well as perform poorly when distributing that conditioned air to the rest of your home. This may result in an entire home that is too hot in the summer and too cold in the winter, or in uneven heating and cooling that leaves some areas of your home comfortable while others feel unbearable. A perfectly-tuned HVAC system will deliver conditioned air effectively throughout your home, while running for shorter periods of time and consuming less energy overall to do so. This means you can easily maintain the even, comfortable home environment you expect with the least strain on your system, and without the need to constantly adjust your thermostat in an attempt to keep your home heated or cooled comfortably. The condition of your HVAC system also affects the air quality in your home. When your HVAC system is dirty or its air filter has become clogged, your heating and cooling system will circulate that dirt and dust throughout your living spaces, causing a higher incidence of asthma, allergies, and eye, nose, throat, and mouth irritation, even in healthy family members. Dirty or water-damaged ducts and HVAC appliances can even harbor mold, bacteria, or viruses, circulating these microorganisms as well during function and posing an additional risk to your health and comfort. Finally, a dirty and dusty HVAC system will make your home appear dustier as well, detracting from its look and requiring you to spend more time cleaning, rather than enjoying your home and its furnishings in comfort. HVAC maintenance is the key to long-term system performance. Many HVAC appliances lose efficiency quickly over time when they are not maintained, and are also at higher risk for a major breakdown that can leave your home without heating or cooling at the coldest or hottest times of year. Investing in HVAC maintenance means investing in your future home comfort by drastically lowering the chances of a major heating or cooling breakdown that could leave your family uncomfortable during extreme weather for the hours or days it takes to repair or even replace a damaged appliance. Our Guardian Maintenance Club offers precision tune-ups for your home so you can enjoy the longevity, performance, and efficiency you expect from your HVAC system. If you’d like to learn more about caring for your heating and cooling system’s needs, please read through our blog for additional tips and information to help you save time and money. You can also reach an HVAC technician on our website for personalized advice on maintenance, repair, and installation service in the Seattle area. These stressful occurrences are also not the ideal times to search for a Seattle plumbing or HVAC contractor when you need immediate assistance. Working with an HVAC contractor that also offers plumbing services can offer significant benefits if you ever find yourself faced with a heating, cooling, or plumbing emergency. Establishing a relationship with a company you know you can trust will offer you greater convenience and peace of mind so you can manage emergencies more smoothly and with less stress. Finding HVAC and plumbing assistance from a company you trust can take time. When you opt to work with separate HVAC and plumbing companies, you must go through this process twice; alternatively, when your HVAC contractor is also your plumber, you’ll have a single company that you know you can trust and count on when you need any type of help with home heating, cooling, and plumbing. Even if you have never used your HVAC contractor for plumbing services or vice versa, knowing you already have the name and number of a company—and often a technician—that you trust with your home is invaluable during an emergency. You won’t have to worry whether you can rely on the company you’ve hired to deliver the service you expect, because you will already have a positive history with them and their work. When you deal with a single contractor to handle HVAC and plumbing emergencies, you’ll only need to reach a single contact when calling for assistance. This can make handling emergencies much faster and easier, as your contractor can look up all previous work that has been performed on your home and note any concerns that may have arisen or been addressed that might be related to your emergency situation. When you receive assistance from a contractor that is skilled in both HVAC and plumbing service, you’ll also receive better workmanship in general—because these two integral home systems often share many components and can have far-reaching effects on each other, working with a company that understands how to handle both means the service you receive will address all your needs and improve the function of your entire home. When your contractor already fully understands the details of your unique plumbing and HVAC systems, he can diagnose issues more quickly and suggest the best resolution to an emergency situation that will not only solve your immediate problem, but result in better long-term function and a reduced risk of further problems as well. When you need a Puget Sound plumbing or HVAC contractor you can trust, our skilled technicians are here to help. Contact us today to schedule your HVAC or plumbing check-up and for 24/7 HVAC and plumbing emergencies, always call Washington Energy Services. You can check us out online to find out more about our company or read through our monthly blog to discover the latest home comfort news. MaryEllen from Mill Creek, WA Definitely a tankless water heater so that I can have more hot water to get everyone showered more timely in the morning, get my towels washed in hot water and actually have hot water to do my dishes after all this! Having a 50 gallon water heater I have to wait for it to recover before we can move to the next thing. I would also like all new EnergyStar kitchen appliances that use less energy and run quieter. Even though I have nice, relatively new vinyl windows, I would like to change out a few of the picture windows to have more sliders with screens to allow fresh air in when it’s wanted. We don’t really need A/C in the summer (yet! ), but more breeze would be helpful. Tanya from Mountlake Terrace, WA My kids are grown now, but when they were younger I wished I had a bigger washing machine, quieter appliances all around, and having 3 kids a husband and a dog, I really wished I had a tankless water heater. Looking back I could have used better insulation as well, that would have also prevented the neighbors from hearing the yelling “stop putting that up your nose” “Homework isn’t an option! !” “chocolate milk is NOT ok to take into your room! !” etc. Ilana from Mulkilteo, WA I would like to keep germs filtered out to help my kids stay healthy for a longer period of time. Maybe a UV system to take viruses out of the air and a better furnace filter might help. I am not very good about changing the filter on my heating system and probably should do that more often. Where we live there are lots of big trees and we can get power outages during windstorms. I would like a generator that could power the whole house in the event of a power outage. Jessica from Snohomish, WA If I were going to make improvements to my home and money was not object, I would definitely put in an enclosed sunroom with an indoor steam room and dry sauna for my sons asthma and eczema. We have been in our home for 15 years and air conditioning is one of our favorite upgrades. The first floor of our home remained cool during summer months but, the 2nd floor was stifling with no breeze. We put in our air conditioning 5 years ago and I would say that has been our best investment. While all the neighbors are sitting out on their porches at 11pm at night with fans going and windows open or with portable air conditioners, we are in our house in bed sleeping with the cool air. It is refreshing to come in to the house after a hot day and being able to relax in our home. The kids are also not cranky because they are cool and all of their friends want to come to our house for some relief to the heat. We also installed hard wood floors and I think they are a must in the NW with kids, pets and our fabulous NW weather. Easy clean up and they look beautiful. If you have a mom POV you’d like to share with us, find this article us on Facebook or reply to this post below. Happy Mothers day! Washington Energy wishes all mom’s a comfortable and happy holiday. If you’re like most people, you have a wish list of projects. But how should you evaluate contractors to do the work? Here are ten questions to ask your contractor before you start work on your home projects. 1. What is the contractor’s Better Business Bureau (BBB) rating? Unlike online reviews, this rating is one that the company’s employees can’t fake. It is a good indicator of their customer service ethic. Click here for more info on Washington Energy Services. 2. Does the contractor provide any kind of warranty beyond that of the manufacturer? Whether you are buying a furnace, water heater, windows or siding, the product manufacturers have warranties. Some are better than others. But does your contractor guarantee anything? Labor? Overall satisfaction? And if so what are the parameters? 3. Can my contractor service my product down the road? Often remodeling projects are run by general contractors who obtain and install products for you. But they are not in the service business. For example, if you have a tankless water heater installed in your new basement, who will be available to fix it or do the annual maintenance? Or, if you have purchased windows with a 20 year warranty, who will be doing the work when and if there is ever a claim? 4. Are permits required to perform this work and does the contractor get them? Around Puget Sound each municipality has permit requirements and related costs. Even small energy appliances like water heaters require permits. Not all contractors take the time to get permits, leaving you on your own to obtain it. 5. What is the total cost of my project? You might be surprised that this question is on the list. Unless you have a firm bid on paper with all costs included, you may find extra charges adding up beyond that phone quote or ad. This is particularly true of items purchased from chain home improvement retailers which then get installed by sub-contractors. The sub-contractors don’t know your home and there are usually charges for various adjustments they need to make during the installation. It is often recommended that people get multiple bids for large projects. Make sure those bids are complete. 6. Speaking of sub-contractors…who is going to do the project? Many companies do not disclose that their “employees” are sub-contractors. These sub-contractors may do great work, or not, but they do not receive any training from the company you have purchased from, and may not have much experience. Is the sub-contractor licensed and bonded and are their people background checked? Make sure you know what you are going to get. 7. Who will I be communicating with about my needs? Will I be able to have input into the job as it progresses? For more complex projects such as siding, windows, roofing or house painting, there may be decisions that need to be made during the process of the installation. Will a manager be on site and if so, how often? Today, great workers can come here from all over the world. If you are the kind of person who likes to ask questions as the job proceeds, you might ask if there will be someone on site during the work who speaks a language you can communicate in. 8. Can the contractor provide me references for similar projects that I may contact? Anyone who has had a contractor nightmare wishes they had done this first. Its great if you have a friend or neighbor who can recommend their contractor, but in many cases that is not available. Reading online reviews is not a good indicator these days of real performance. You never know what incentive the reviewer was paid, if it’s an employee, or if the disgruntled commentator was one versus the one hundred who were satisfied. Talking to another customer or even seeing photographs of other work that was performed can help. 9. What local rebates or federal tax credits can I qualify for? 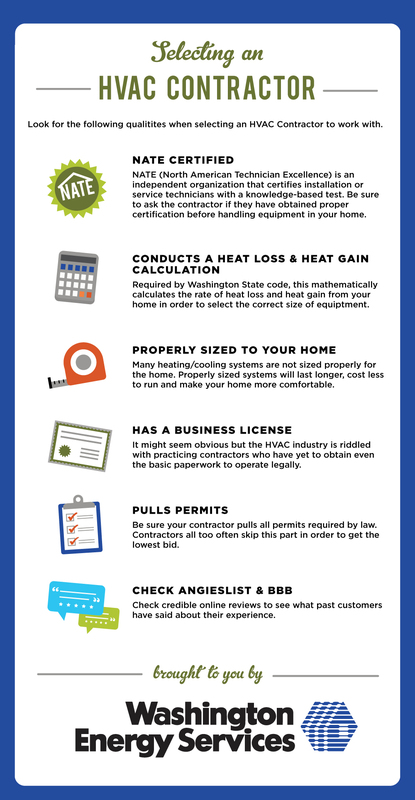 Can your contractor help you with these? There are numerous utility, municipal and federal rebate or tax credit opportunities and they change every year. For example, the Federal Tax Credits for Energy Efficiency are still around, though there is a $500 maximum for 2011. Many require specific forms and submissions. Click here for more info. 10. Is there a timeline to complete my project? Major projects such as finishing a basement or home siding can take several weeks to complete and require a variety of materials. One complaint often heard is “they started the project and now haven’t shown up for a few days. I don’t know when they are going to come back and no one is returning my calls.” I was once told that this is an old contractor’s trick to be able to manage several jobs at a time. Well, even if that were true, it doesn’t mean you have to accept it. Get a timeline in writing and a full understanding of all steps of the project, delivery dates for materials and work required, so you know what to expect. And make sure you exchange all relevant phone numbers with the contractor including personal cell phones. 2. Does the contractor provide any kind of warranty beyond that of the manufacturer? Whether you are buying a furnace, water heater, windows or siding, the product manufacturers have warranties. Some are better than others. But does your contractor guarantee anything? Labor? Overall satisfaction? And if so what are the parameters?